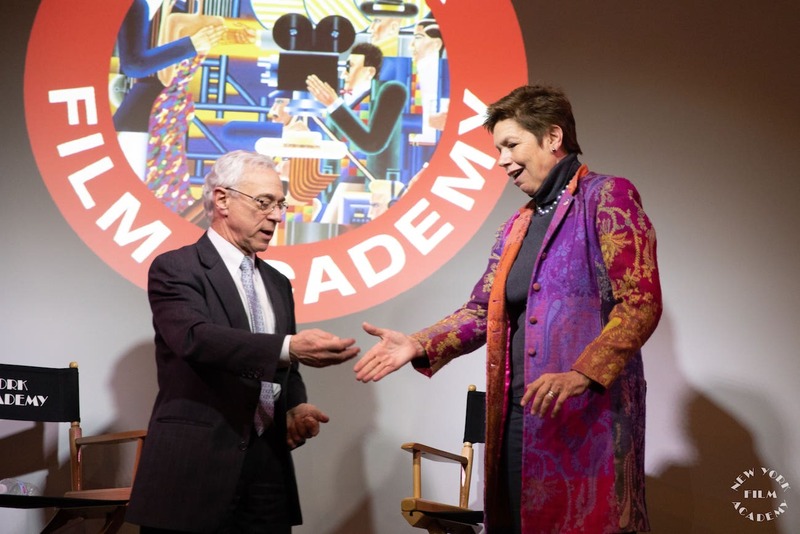 A special screening of Netflix’s hit series, Medal of Honor, was held at the New York Film Academy (NYFA) Theater in New York City last week, hosted by NYFA’S Division of Veteran Services (DVS). Commissioner Loree Sutton MD (Brigadier General Ret.) of New York City’s Department of Veteran Services and Medal of Honor recipient Col. Jack Jacobs (Ret.) participated in an unfeigned discussion with attendees after the screening of Episode 8, which featured the heroic story of Staff Sergeant Ty Cater, who was awarded the Medal of Honor by President Obama in 2013 for his heroic actions in Afghanistan. Reflecting on the Medal of Honor experience from a personal perspective, Colonel Jack Jacobs, who has been the Chair of New York Film Academy’s Veteran Advancement Program since 2014, and is also an on-air Military Analyst at MSNBC/NBC news, answered questions from the audience along side the Commissioner Sutton. NYFA Acting for Film alum Tyler Williams, who portrays Ty Carter in the episode, not only conveyed the authentic challenges service members face in their transition back from combat, but will be screening the episode with veteran students at New York Film Academy’s Los Angeles campus on February 11. “A successful transition home is important not only to veterans, but the families and communities they return to,” asserted Commissioner Sutton, an Army psychiatrist and a fierce advocate in New York City for services that protect and empower returning service members. The Netflix screening and special quest speakers made for a very moving and emotional evening, which was made all the more special by a touching and warm exchange of military challenge coins that passed reciprocally between Colonel Jacobs and Commissioner Sutton at the event’s conclusion. New York Film Academy students can attend another screening of Medal of Honor at NYFA’s Los Angeles campus on February 11, with special guest Tyler Williams — you can RSVP for the event here. 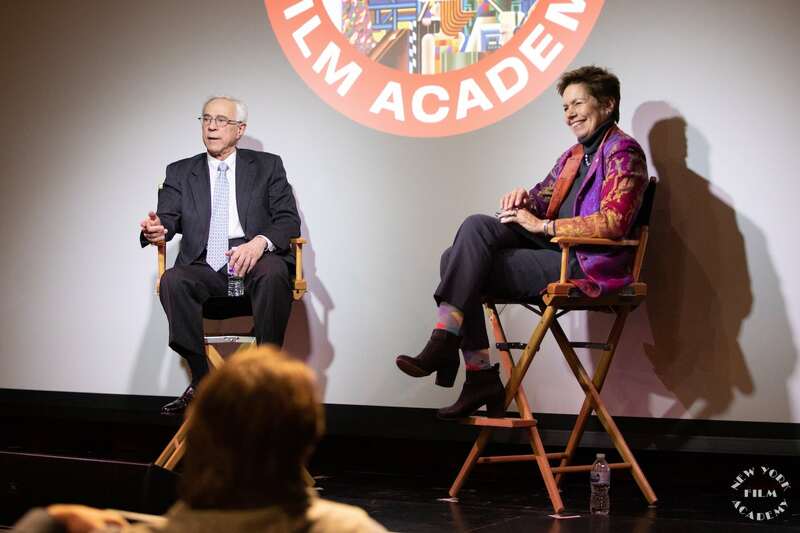 On November 15, 2018 New York Film Academy Los Angeles veteran-students gathered in the NYFA Theater, for a special lecture from Medal of Honor Recipient and appointed Chair of NYFA’s Veterans Advancement Program Colonel Jack Jacobs. Colonel Jacobs served in the U.S. Military for more than 20 years and his gallantry in Vietnam earned him the Medal of Honor—the nation’s highest combat honor—as well as two Silver Stars, three Bronze Stars, and two Purple Hearts. Colonel Jacobs is a military strategist and on-air analyst for NBC and MSNBC News. 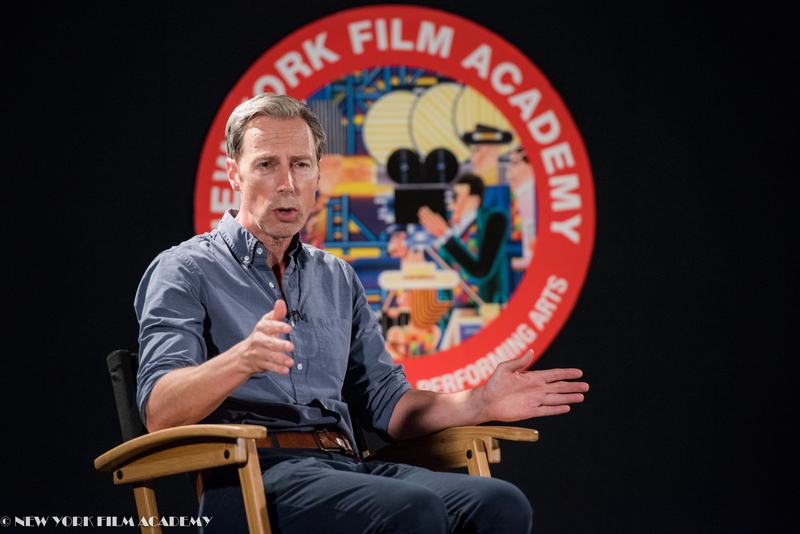 Colonel Jacobs’ mission at NYFA is to support the Academy’s veteran-students’ transition from the military to exciting careers in media and entertainment. The evening began with a screening of the documentary about Colonel Jacobs that recounted the events that took place during the Vietnam War and Colonel Jacobs’ dauntless actions that later earned him the Medal of Honor. Honorable Col. Jack Jacobs (MoH Recipient) with NYFA veteran-students. During the talk, Colonel Jacobs discussed his personal experience in transitioning from the military to civilian life and offered his advice to the veterans in attendance. The Colonel’s personal experiences, his inspiration, and at times his wit, touched several pungent topics. He emphasized his belief that the military is the only place that will give an 18-year-old man or woman a large amount of responsibility and this prepares them – more than most 18-year old who have not served – for nearly any career and circumstance. “An employer who hires a veteran, gains a huge benefit due to the work ethic and skills that they learned and honed while serving our great Country” stated Jacobs. He spoke on how veterans should walk into a job interview confident that with their military background, they know both how to follow and how to lead. The evening concluded with Colonel Jacobs taking photos and talking with the NYFA veteran-students as well as other vets in attendance from Veterans in Media & Entertainment (VME), and the Veterans Affairs (VA). It was truly a great experience and very inspirational evening for everyone in attendance. 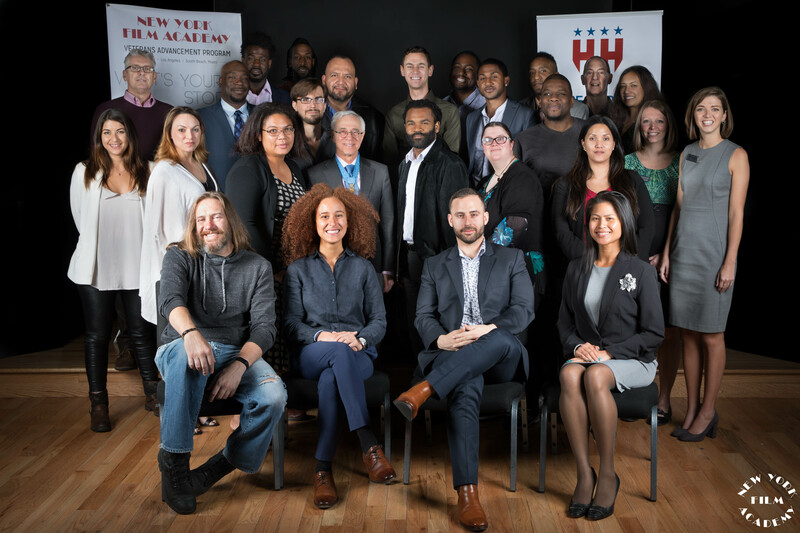 The New York Film Academy (NYFA) Department of Veteran Services (DVS) had the pleasure of once again partnering with Hire Heroes USA (HHUSA) to host a daylong exclusive employment workshop for NYFA’s veteran students. NYFA veteran-students and veteran-alums participated in the event as well as a select group of members from Veterans in Media & Entertainment (VME). Hire Heroes USA is a registered nonprofit that provides free career coaching and job sourcing to those transitioning out of the US military; the organization assists veterans and spouses with finding employment as well as providing career counseling and job sourcing. The critical elements of the workshop focused on a practicum in resume formatting, networking tactics, and how to fully prepare for an interview. Jamie Rimphanli and Amy Dodson, representatives from Hire Heroes USA, led the workshop and shared valuable insight on navigating the job search process. Jamie Rimphanli (second from left) and Amy Dodson (far right) meet with veterans from the employment workshop. Additionally, industry professionals joined the event during the day for a moderated Q&A session. Panelists represented Mattel Industries, Warner Brothers, Paramount Studios, Legendary Entertainment, and other top entertainment companies. These experts discussed how they got their start in the industry and provided advice to the attendees on kickstarting their careers. Following the panel, the veterans had the opportunity to network with the industry professionals and the informative day concluded at a local restaurant for a mixer that provided a more intimate setting in which to build contacts. New York Film Academy has been privileged to enroll more than 1500 veteran students and military dependents at our campuses since 2009. 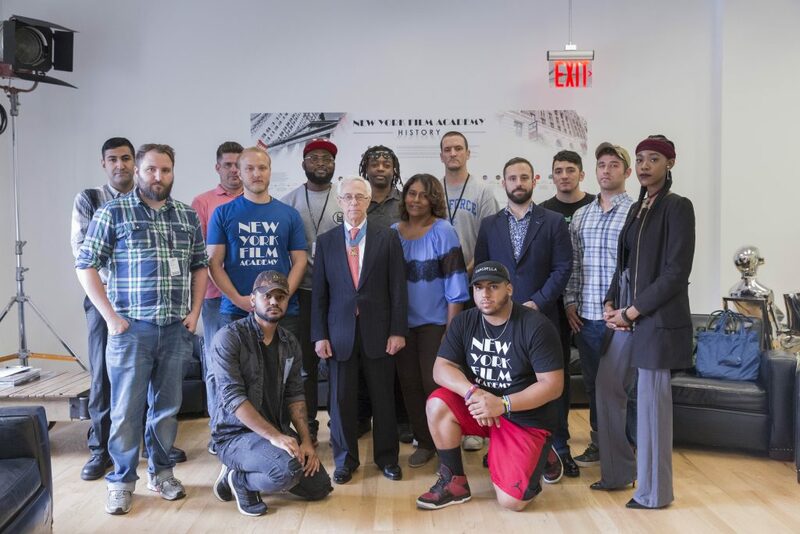 In addition to educating veterans with hands-on, intensive programs using state-of-the-art equipment, NYFA’s Division of Veterans Services (DVS), led by NYFA Chair of Veterans Advancement Program Colonel Jack Jacobs, has been able to bring unique opportunities to its veterans students while supporting the veteran community. The NYFA Department of Veteran Services is extremely grateful to Hire Heroes USA for providing this wonderful opportunity provided to NYFA veteran-students and looks forward to future collaborations! The New York Film Academy (NYFA) College of Visual and Performing Arts’ Division of Veterans Services (DVS) recently welcomed NYFA’s veteran students and alumni, together with members of Veterans in Media & Entertainment (VME), to a screening of the hit animated series Rick and Morty. Following the screening, the audience was treated to a Q&A with casting director extraordinaire, Robert McGee, C.S.A. 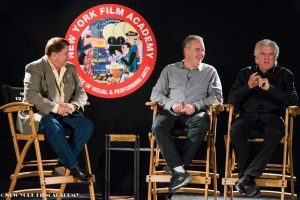 The event was part of the NYFA DVS series of events that includes guest speakers, film screenings, master classes, workshops, and employment trainings — all of which promote industry engagement for NYFA’s veteran students, as well as the wider veteran communities, in Los Angeles, New York City, and South Beach (Miami). In addition to Rick and Morty, McGee has cast such hit shows as The Cleveland Show and Wizards of Waverly Place, as well as successful films such as The Virgin Suicides and World’s Greatest Dad, which starred Robin Williams. McGee is currently casting the newest rendition of The Adams Family, which stars Chloe Grace Moretz, Oscar Isaac, Nick Kroll, and Academy Award-winner Charlize Theron. 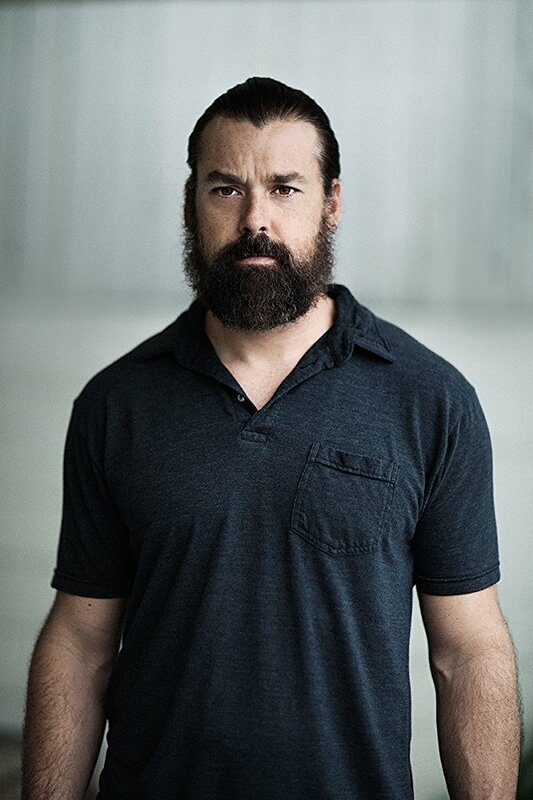 With over 20 years of experience in the casting business in both live action and animation, McGee enjoyed sharing valuable insight on the casting process for both live action and voice over work. McGee is very passionate about the casting business and enjoys meeting actors. The New York Film Academy thanks Robert McGee for his generosity and willingness to help veterans pursuing careers in the film industry. 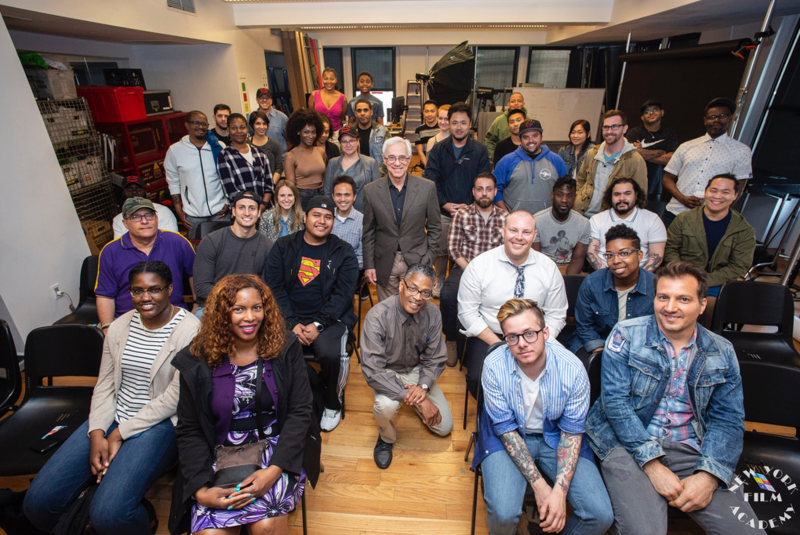 The New York Film Academy (NYFA)’s New York City campus recently hosted nearly 50 veterans, active-duty military personnel, and dependents for an evening master class in the application and principles of light in digital photography. Chair of the NYFA Photography Program David Mager facilitated the three-hour workshop. Professor Mager’s lecture Principles of Light served as a great introduction to the laws and active principles behind the lighting of any scene. Attendees learned to approach a shoot with a pre-visualized idea of what story they want the light to tell. Both the lecture and hands-on exercises guided attendees to see what different types of light look like, and how to think about lighting as an essential tool in image creation. See more photos from the day here. NYFA’s Chair of the Veterans Advancement Program, The Honorable Colonel Jack Jacobs, treated the participants to welcome remarks. NYFA provided this photography workshop at no charge to the veteran participants as part of the institution’s support of service members residing in the communities where NYFA has U.S. campuses: Los Angeles, New York City, and South Beach (Miami). 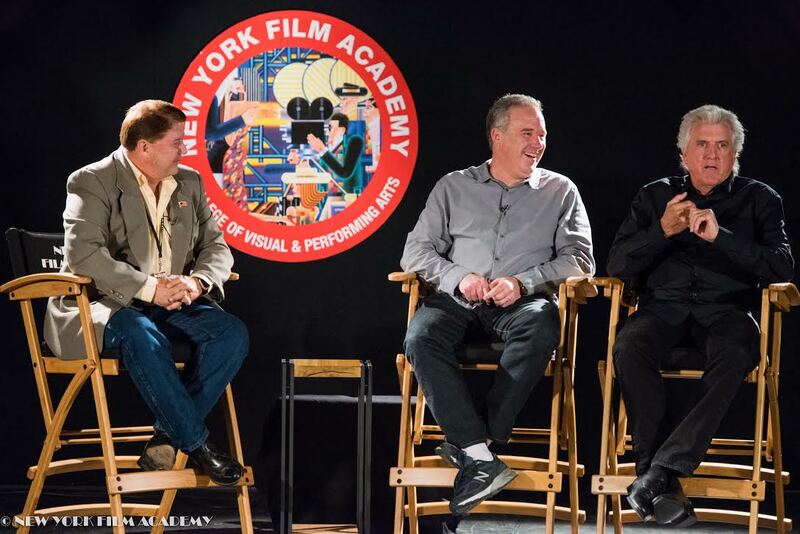 In the past two years, NYFA’s Division of Veteran Services has provided more than a dozen such free masterclasses in various filmmaking related disciplines including Acting, Screenwriting, Filmmaking, and Acting for Film. Last week, the New York Film Academy (NYFA) proudly teamed up with the Texas Veterans Commission, Texas Film Commission and the City of Austin to facilitate a truly exciting NYFA Filmmaking Master Class, which was provided free for veterans and their dependents. The Austin Convention Center housed the daylong event and featured a six-hour interactive instructional seminar, titled Anatomy of a Scene, presented by NYFA New York City Chair of Short Term Programs Jonathan Whittaker. The seminar included lecture, screening, and group participation, to coach on writing, breaking down, and directing a scene. The seminar explored all aspects of filmmaking, including cinematography, producing, editing, acting, and screenwriting. On hand to greet the nearly 70 military participants were the honorable Colonel Jack Jacobs, Medal of Honor recipient and on-air military strategist for NBC/MSNBC and Chair of the NYFA Veterans Advancement Program; Cruz Montemayor, Deputy Executive Director, Texas Veterans Commission; Allen Bergeron, Military Veterans Program Manager, City of Austin; Minhu Vu, Senior Marketing Coordinator, Texas Film Commission; and Stephanie Whallon, Incentive Program Manager, Texas Film Commission. A highlight for NYFA was the presentation to Colonel Jacobs of a Special Proclamation by Austin’s Mayor, Steve Adler, declaring April 14 as “NYFA DAY” in the City of Austin! 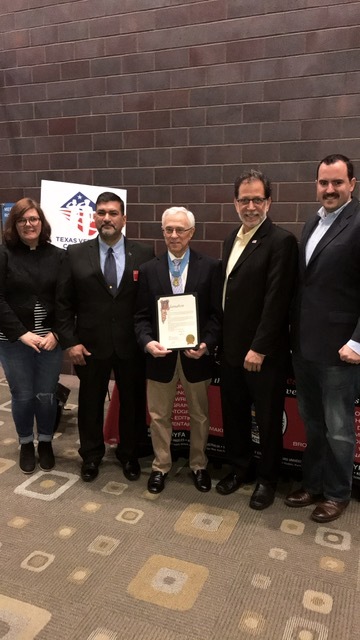 NYFA’s President Michael Young expressed gratitude to Mayor Adler, stating, “We are incredibly honored and humbled to receive this proclamation from a city that does so much veterans, for film, and for the arts. 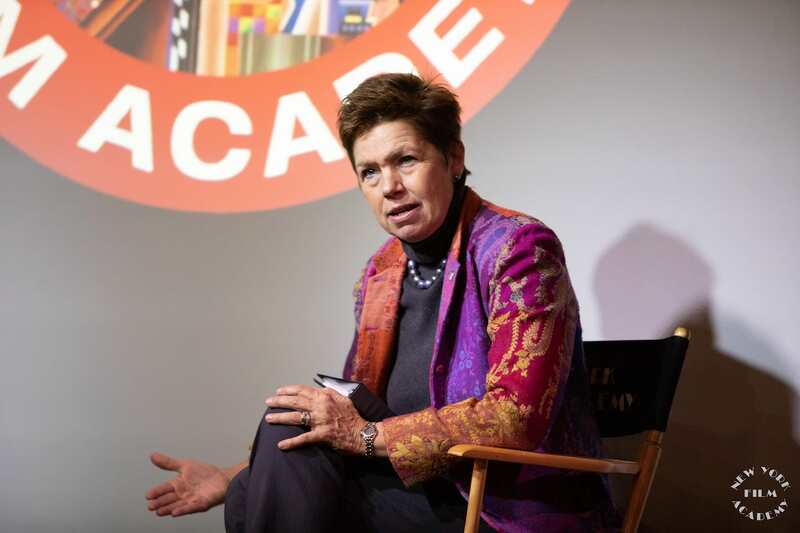 The New York Film Academy hopes return to Austin frequently to partner on these efforts. NYFA’s Division of Veterans Services has been privileged to enroll and support more than 1,500 veteran students and military dependents at its U.S. campuses since 2009. Many NYFA programs are approved for Post-9/11 GI Bill Benefits, and the Los Angeles and South Beach campuses also participate in the Yellow Ribbon Program. 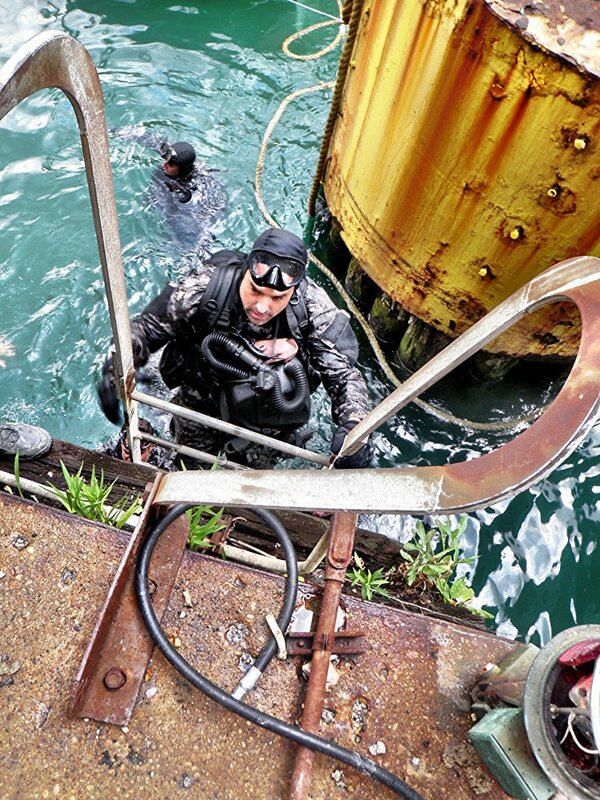 Few people have the grit and the determination to become a Navy SEAL, but New York Film Academy alum Kenny Sheard has shown that no matter what he sets his mind to, he brings in the full force of his incredible work ethic, talent, and stamina. 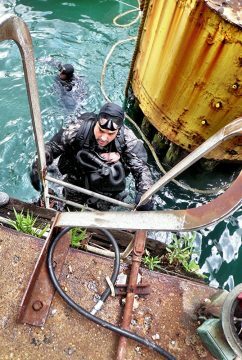 After honorably serving in the Navy for 12 years and attaining a place with the world famous, elite Navy SEALS, Sheard has managed to forge an entirely new and challenging path for himself in the civilian world as an actor and stunt performer in some of Hollywood’s biggest blockbusters and series. Sheard booked his first stunt job in the Transformers franchise while still actively serving in the reserves, and from there, came to NYFA to master new skills in Filmmaking. Since then, his creative career has skyrocketed, with stunt credits in Agents of S.H.I.E.L.D, Fear of the Walking Dead, Logan, and the upcoming Avatar 2, among many many more. His acting credits continue to build up as well, with his most recent appearance alongside Chris Hemsworth in 12 Strong, now available to stream on Amazon. NYFA: First, can you tell us a bit about your journey and what brought you to NYFA? KS: I’m originally from Miami, FL, and attended College in Newburg, NY, for a few years, but didn’t finish. I moved home, joined the military in May of 2001, and served on active duty until May 2013. In 2010, while assigned to a training command, I was given an opportunity to use my saved up leave (vacation time) to play a minor stunt/acting role on Transformers 3. That experience and a multitude of things that followed are what ultimately lead me to the Filmmaking course at NYFA. NYFA: Why filmmaking? What inspires you most about film? What stories are you most passionate to tell? KS: Films have entertained and inspired me as far back as I can recall. I enjoy reading; however, films have had a more substantial impact on me. In my experience, I’m able to feel and perceive the world through this visual medium in ways that I might not ever have had the chance to, like through a mother’s loving eyes or a tormented serial killer. Personally, I prefer fiction over reality-based stories. That said, some of the most influential films I’ve seen have also been “based on true story” movies. The stories I’m passionate to tell lean on the darker and grittier side. NYFA: Do you have any favorite NYFA moments from your time studying with us? KS: I don’t have any favorite standout moments, but I got a ton out of the experience. The teachers were knowledgeable and went above and beyond. NYFA: As a veteran, what is your best advice to fellow veterans and active service members interested in transitioning into the visual and performing arts? KS: My advice would be to stay focused on your goals/dreams, be true to who you are always, and destroy the ego. Use the discipline, structure, and attention to detail you’ve acquired from your time of service and apply it to your new creative ventures in life. Have a work hard, hustle attitude, with a positive and open mind. Don’t ever hang your choice to serve over anyone’s head, ever. Sounds like a cheesy poster, but hey, get after it! NFYA: You launched your career in the Transformers franchise while still serving in the reserves. What was that experience like? KS: Being a part of Transformers was awesome. I met Michael Bay and Harry Humphries through a friend, Echy. I can’t say enough great things about Bay and being exposed to a film set like that. I enjoyed every moment, and it came at a time when I had no idea what to do next in life. If I tried to put words to the whole experience and what it’s meant to me, it would degrade it. 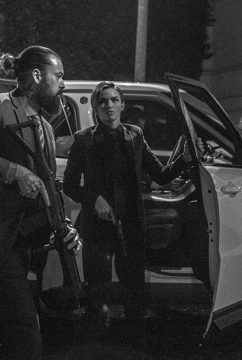 NYFA: You’ve worked in some incredibly successful, major films — from John Wick to 13 Hours and Transformers: Age of Extinction. What is your best advice to our students to prepare for the transition from school to a large-scale blockbuster set? KS: That’s a tough one. I think some people get it, and some don’t. I can’t imagine anything I write here might shatter any glass for readers. See my advice to veterans; it applies to all. NYFA: Acting and stunts — how does your preparation process change depending on your work? KS: These are two very different worlds, which I’m on the bottom of the barrel in both. When it comes to acting, I’m just playing myself. Other than knowing my lines, which have yet to be extensive, there’s not a ton of prep for me. Stunts, on the other hand, require a ton of prep. I think I need to point out here that I’m relatively green in the stunt world. The pool of talent I’ve had the honor of working with in the stunt world is insane, and I’m far from being considered anyone of a high caliber. My tactical background has helped me out tremendously, but I’m still learning a ton every project I’m on. NYFA: What is your favorite part of working in stunts? Have there been any surprises and challenges along the way, and how do you overcome them? KS: My favorite part of working in the stunt community has been the people. Every project I’m on, I’m always impressed with the talent and comradery. I can’t say that I’ve ever been surprised, but it’s always challenging and fun. 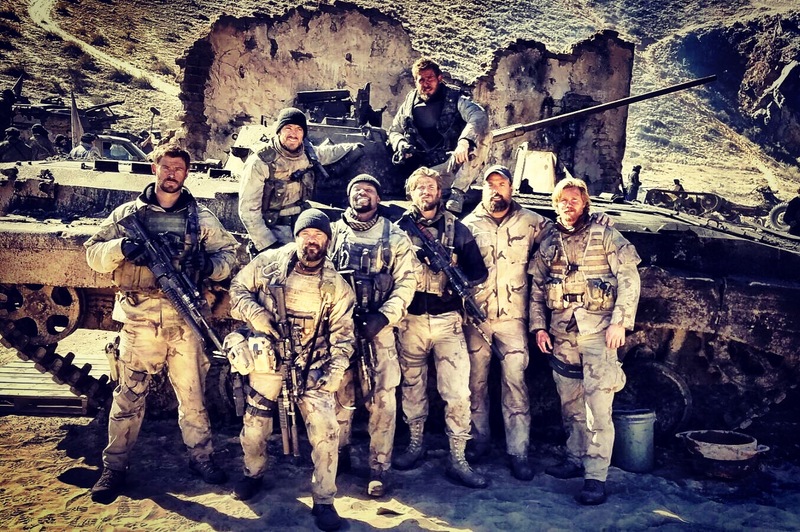 NYFA: Can you tell us a bit about 12 Strong? What was that filming experience like? KS: 12 Strong was an outstanding experience. 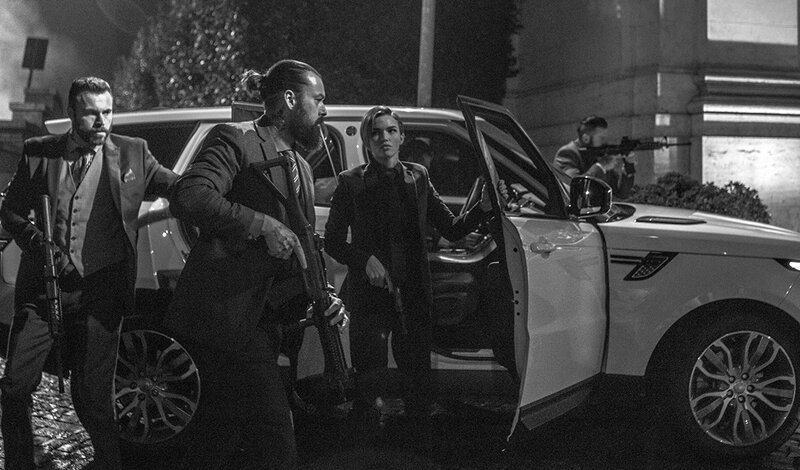 From meeting the guys whom the story was about, to working with all the talented actors and stunt team, it was awesome. I wouldn’t know where to start, the director and producers were solid to work for as well. It’s a hard thing telling a true story, and I think Nicolai Fuglsig did an exceptional job. The men who the story is about were very pleased with it, and you can’t ask for anything better than that. I was deeply honored to play Bill Bennett, a medic who later lost his life overseas in Iraq in 2003. The New York Film Academy would like to thank Kenny Sheard for taking the time to share his story with the NYFA community. 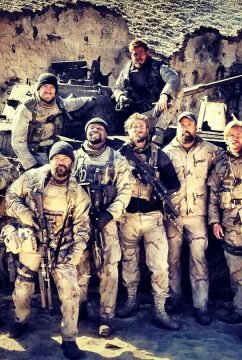 12 Strong is available to stream on Amazon. 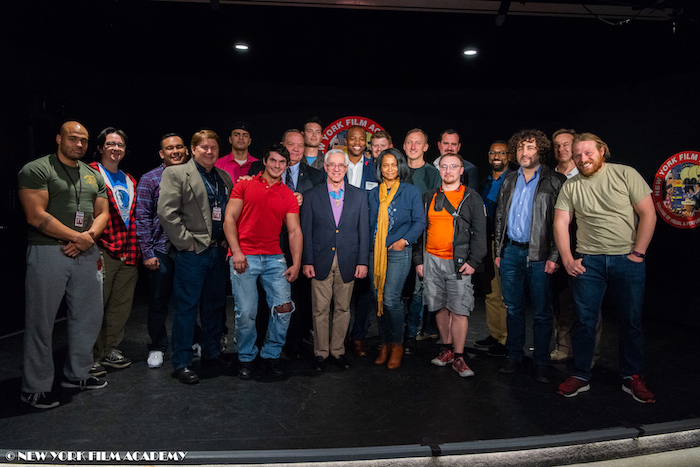 On October 21, New York Film Academy (NYFA) held a special day-long professional development workshop with Hire Heroes USA, an event open to New York City’s diverse array of veterans seeking careers in film, television, and broadcast journalism. This training session follows a very successful NYFA Hire Heroes USA event that was held at NYFA’s Los Angeles campus. 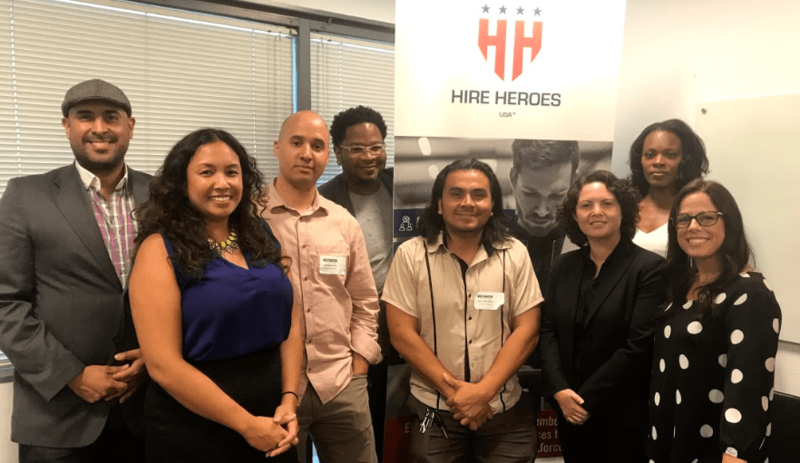 Hire Heroes USA is a highly successful nonprofit organization that provides free career coaching and job sourcing to transitioning U.S. military members, veterans and military spouses. To date, Hire Heroes USA has found more than 20,000 jobs for veterans. Together with NYFA, the organization tailored the day’s instruction and training uniquely for the media and entertainment industries. The training also included a panel of industry professionals with a plethora of experience in major motion picture production, start-up production company management, entertainment law, pitching and network building. Veteran participants with Colonel Jack Jacobs at the NYFA NYC Hire Heroes USA training. 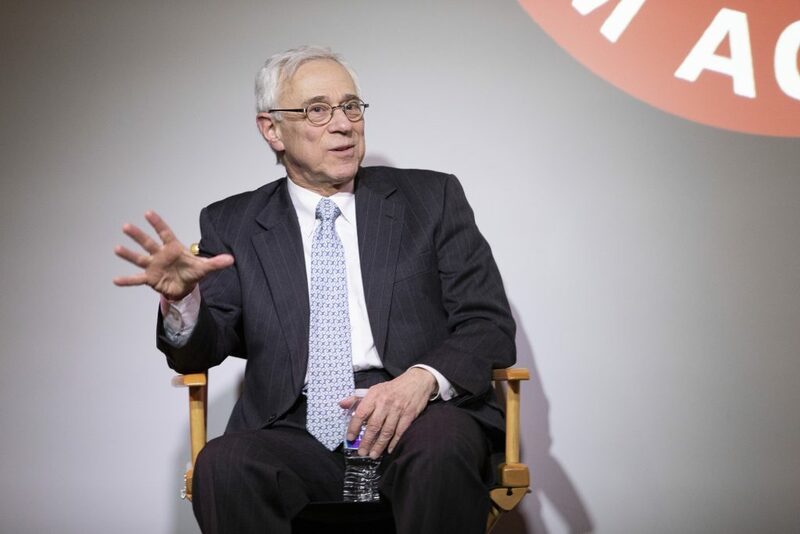 NYFA’s Chair of Veteran Services Colonel Jack Jacobs (Ret.) 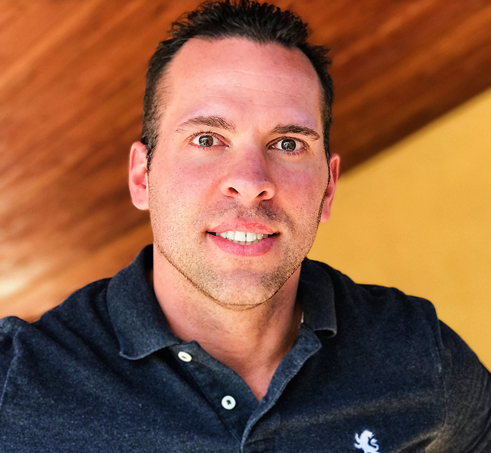 provided insight into his own career in television as the on-air military strategist at NBC/MSNBC, which he began after a successful venture in the finance industry. Colonel Jacobs is an advocate for all veterans seeking to break into the film and television industry. He readily advises students on their career paths, and even has NYFA veteran students visit the NBC Studios in NYC for a behind-the-scenes experience. Attendees worked through a busy lunch hour, which included the opportunity to have professional headshots taken by NYFA staff photographers to accompany the LinkedIn skill-building portion of the seminar. NYFA greatly appreciates the partnership with Hire Heroes USA, and especially wants to thank Elena Comperatore, Jamie Rimphanli, and Molly Giles, who provided the accompanying lectures to the event and provided the skills training.